I’ve been making this easy hot apple cider recipe for years now. It literally is my favorite hot apple cider recipe I’ve tasted. 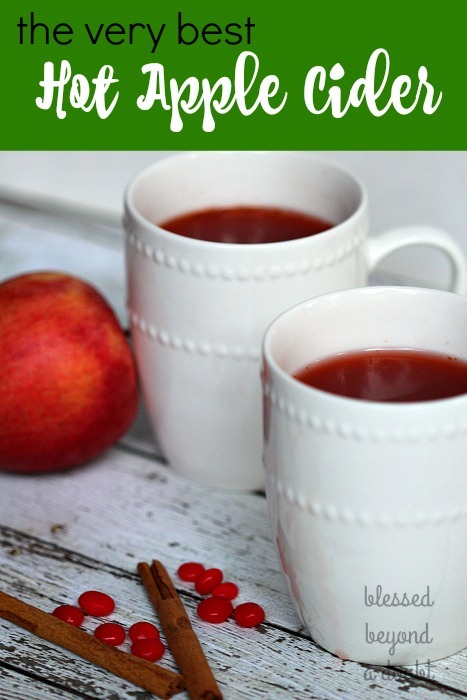 You will laugh when I share how easy this hot apple cider recipe is and I disclose my oh so secret ingredient that makes this hot apple cider truly divine. I make it several times during the cooler months, and always serve it around the holidays. Pour apple cider into a large slow cooker . Add red hots to apple cider. Stir apple cider to make sure red hots are dissolved. 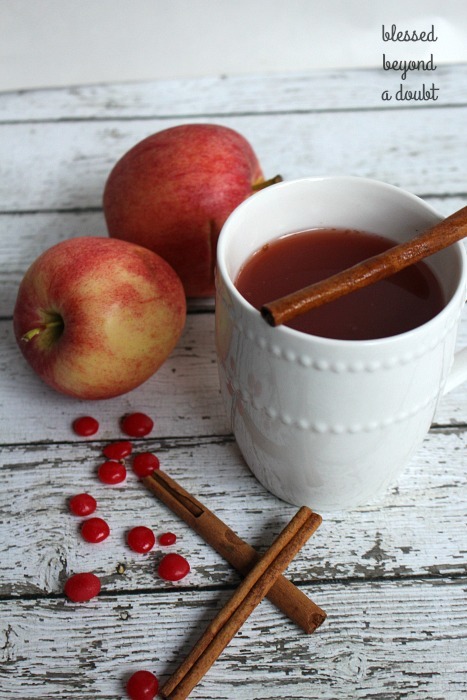 And that’s all there is to this delicious easy hot apple cider. It taste a bit like cinnamon, but not overkill. 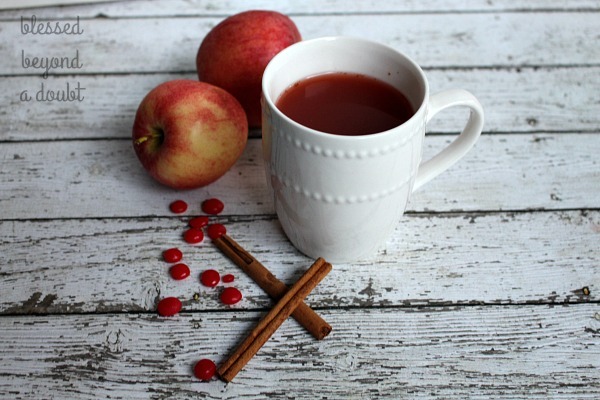 This is my favorite hot apple cider recipe, and I’m sure your gang will adore it, too.